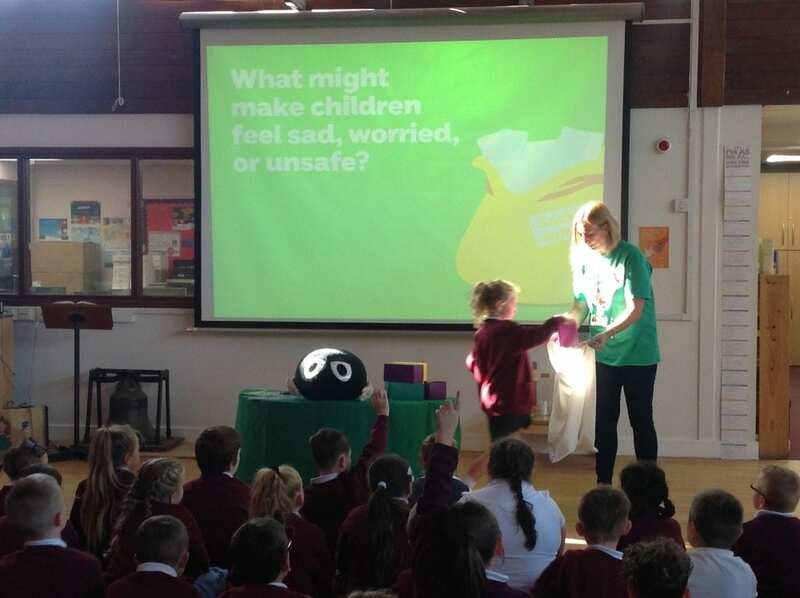 Yesterday, Cheryl from the NSPCC came into school to talk to our children about the important message – ‘Speak out, Stay safe!’ She used the idea of a bag of worries to explain how telling a trusted adult can help with any thing that they are concerned about. She will be returning next week to work with our Y5 and 6 children, as part of our whole school safety week . Each class will be raising funds fore the NSPCC next week too. Our School Council have worked with their class to choose an NSPCC Buddy’s Workout to undertake on Thursday. We are asking for a donation of one pound per family and hope to raise £150, which would pay for 30 calls from vulnerable children to be answered by childline. The NSPCC are also delivering a free parent workshop with O2, on Friday 21st September in school, 2-3pm. Come along, and then get a Friday Flyer by taking your child as soon as the workshop ends.